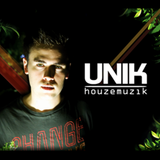 Unik (Portugal) began production in 1999, and since 2005 has produced a long list of remixes with support coming from illustrious DJs such as John Digweed, Hernan Cattaneo, Oliver Moldan, Sarah Main to name just a few. 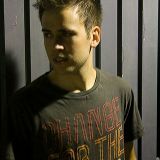 In 2005 he released his first remix with Filipa Rebelo in the Brazillian Label Dasound Records. Since then, Unik has made remixes for labels such as Beatfreak, Tanira Recordings, Composure Records, Troia Recordings, Kult USA, New Breed, Piston Recordings, and now will be a regular in Cologne´s new Sorry Shoes label. His remixed list includes Mastercris, Alexx Wolfe, Hugo Rizzo, Pedro Goya, Cytric, Mechanique, Kevin Over, Mossy, Rogério Martins, Phil Kieran, Jean Philips & Mike Kelly, Eric Faria, Steven Redant, Joal, Pedro Diaz. 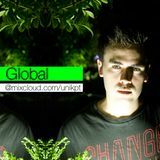 Typically deep and stylish, Unik´s sound draws on his sun-drenched city of residence, Lisbon, and is influenced by the German and Spanish progressive, tech, minimal and house movements.